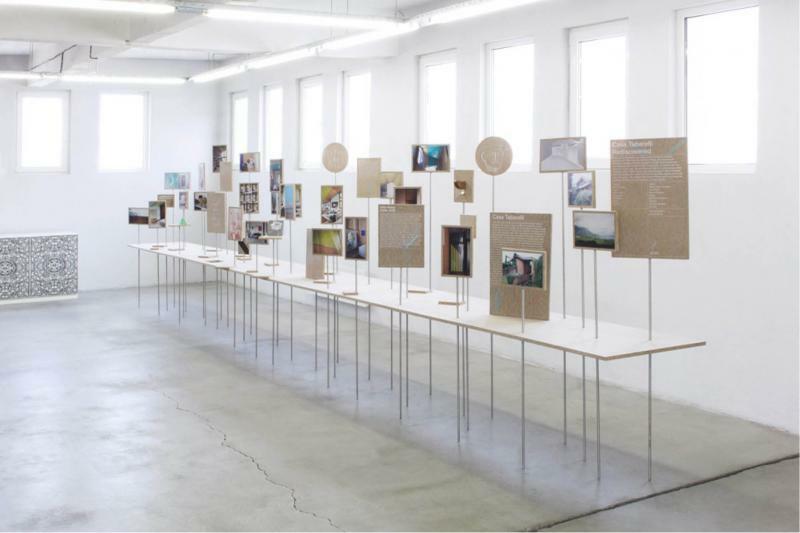 The 28th Brno Biennial will open a democratic platform to represent the complete scope of the discipline with all of its different meanderings and characteristics of graphic design projects. The universal view will introduce contemporary graphic design in the full multiplicity of its facets, giving rise to an inspiring mosaic of different opinions and attitudes by opening up discussion across the whole of its breadth, engaging both experts and the general public. The curators would like to collaborate with creative minds from various disciplines whose presence would help forge a uniting element around which a powerful, multi-opinion platform could be cultivated. In all sections of the exhibition the curators intend to rely on support from experts in the individual disciplines and together create a stimulating whole and substantial content to showcase graphic design in all of its forms. In addition, organise an event of relevance to all professions and disciplines closely tied with the graphic design phenomenon. 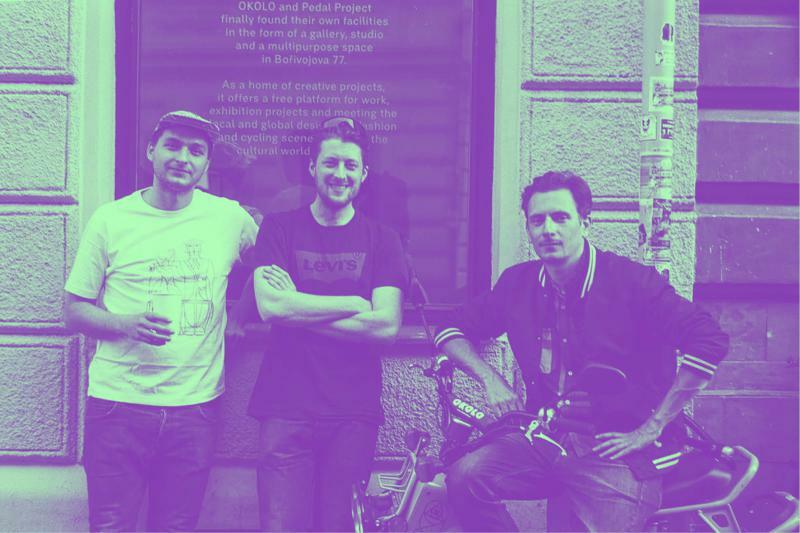 The OKOLO creative group, comprised of Matěj Činčera, Jan Kloss and Adam Štěch, has primarily dedicated its work to design, architecture and other allied disciplines and to their presentation through a variety of media. From its inception in 2009 it has initiated a number of publications (e.g. OKOLO Mollino, Radical Sitting for the Depot Basel gallery in Switzerland, five issues of its own OKOLO magazine, four issues of the Pedal Project magazine and others). The group has authored exhibitions and installations in which it interconnects a largely educative content with graphic design, illustrations and the creation of spatial objects. 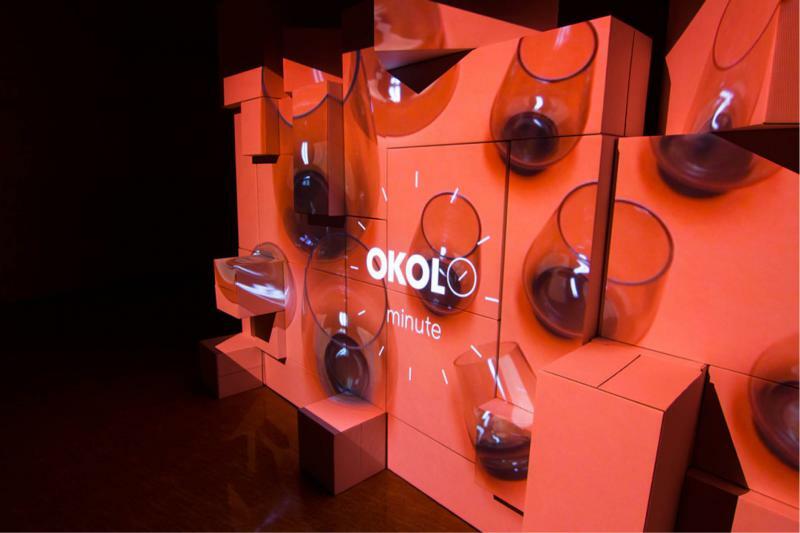 As curators, the members of the OKOLO group were recently involved, in Collecting event for the Museum of Decorative Arts in Dresden (2014), a showcase by students of the Academy of Arts, Architecture and Design in Prague called Manifesto at Salone del Mobile in Milan (2016) and a series of exhibitions held within the Zlín Design Week festival (2015-2017). 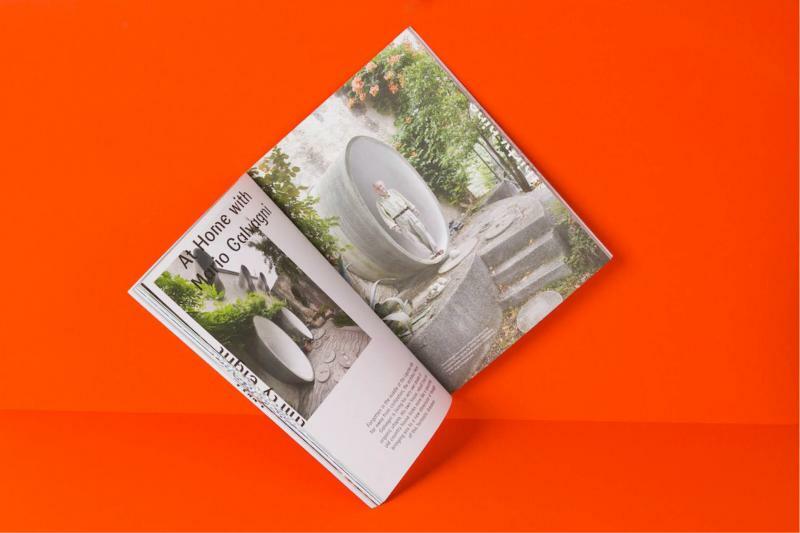 They participated in the Unfolding Pavilion project within the Biennial of Architecture in Venice (2016) and became the only out-of-London contributors to the annual Brompton Design District book edited by the renowned curator Jane Withers. 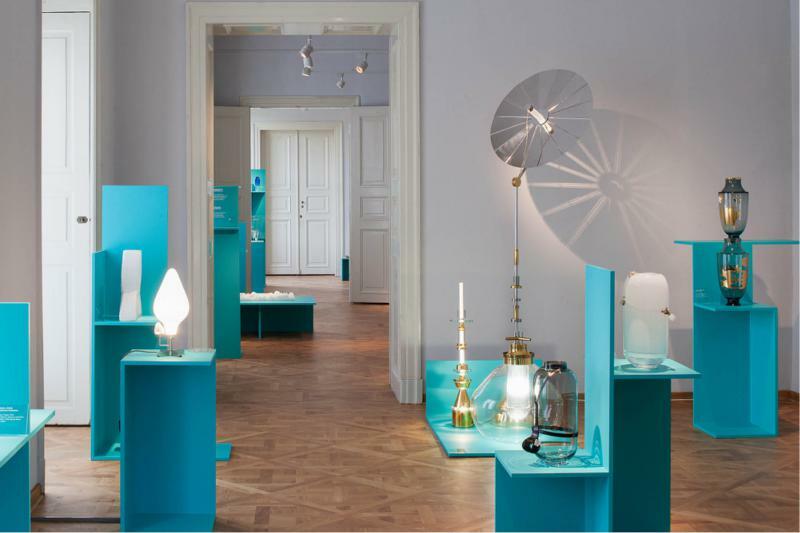 Other curated exhibitions were organised in London (Breathless in collaboration with the Dechem studio), Stockholm (Designgalleriet), Sofia (Sklada) and elsewhere. 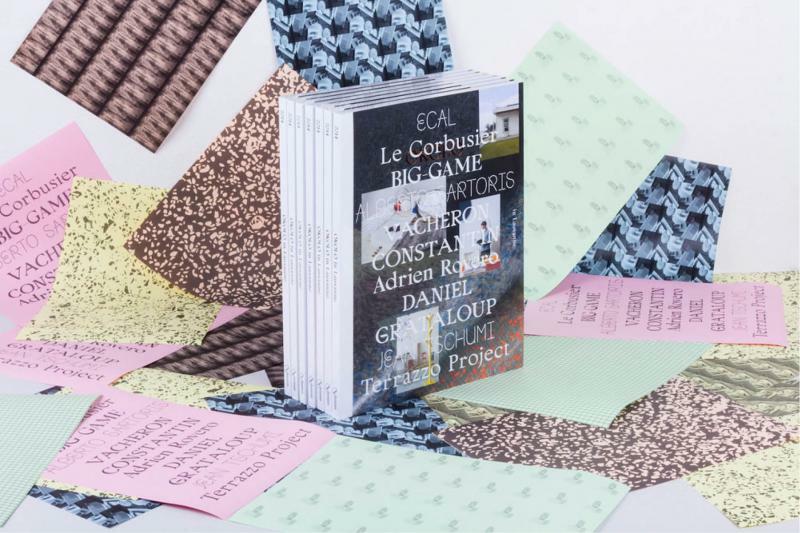 OKOLO is also a co-author of the European Design Stories project, on which it recently worked together with Darina Zavadilová, and the designSUPERMARKET festival. Matěj Činčera (b. 1988) is a graphic designer. While still a student he founded the OKOLO creative group. He received the Most Beautiful Czech Book 2010 award for the graphic design of the OKOLO Mollino book and came third in the prestigious Czech Grand Design 2011 competition in the Graphic Designer category. He teaches graphic design at Scholastika. Jan Kloss (b. 1982) is a graphic designer. In addition to graphic design his activities involve music, photography, video and collaborations in cross-disciplinary creative projects. 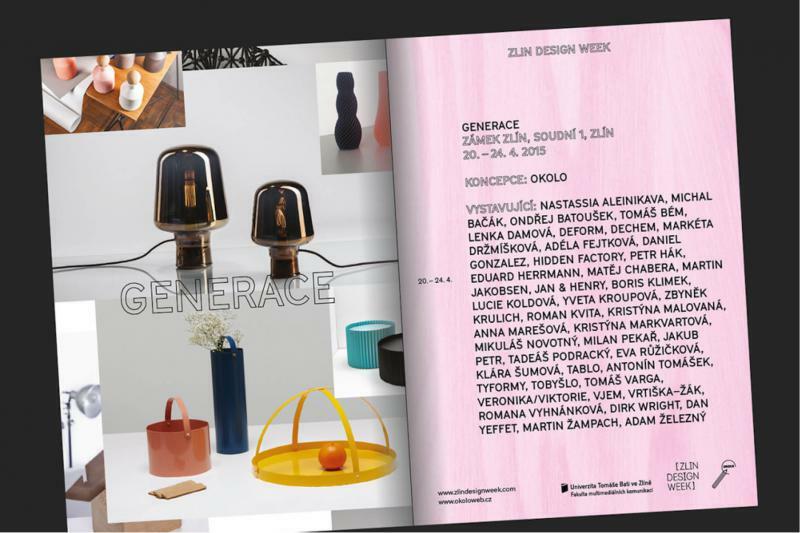 He has participated in many exhibitions and lectures at home and abroad (Belgrade Design Week, World Design Capital Helsinki, Romanian Design Week, Milan Design Week, etc.) and received several awards (European Design Awards, Czech Grand Design). He teaches graphic design at Scholastika. Adam Štěch (b. 1986) has had a long-term interest in design, architecture and fashion and is one of the leading Czech theorists of design. Since 2009 he has been an editor of the Dolce Vita lifestyle magazine. His articles are also published in the media abroad (Domus, Wallpaper, Form, Mark, Frame, Modernism, Cool Hunting and others). Since 2013 he has been teaching design history at Scholastika. IIn 2012 he was a member of the selection jury of the International Exhibition of the 25th International Biennial of Graphic Design Brno. The birth of the Brno Biennial took place against a backdrop of the cultural and political situation in the 1960's, when events were driven by efforts on the part of Czechoslovak artists and designers to develop their right to free artistic expression, tempted by the possibility of comparing what they designed with international counterparts. 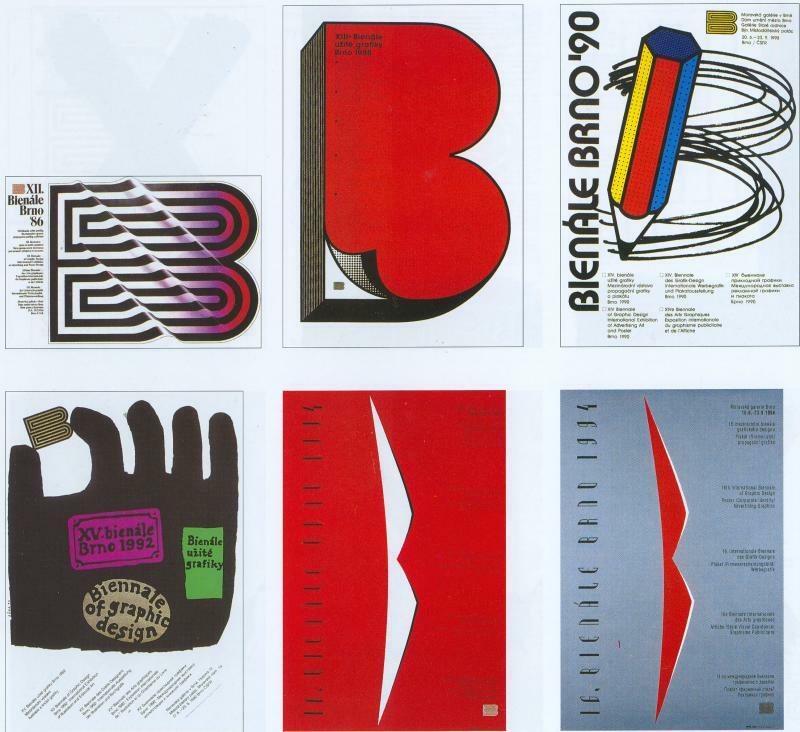 The First Czechoslovak Exhibition of Poster and Promotional Graphics was organised by the Moravian Gallery, Brno in 1964. From 1966 onwards it was followed by regular international exhibitions that worked to embrace a wide spectrum of graphic design. 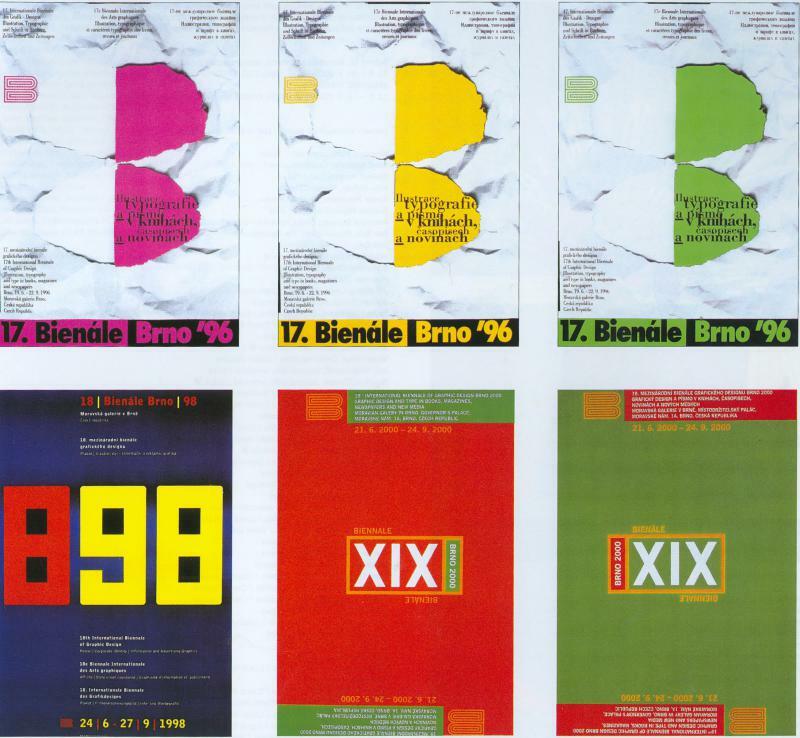 The original multi-thematic structure of the Brno Biennial comprised three exhibition disciplines. After 1968, the discipline involving exhibition design was abandoned as it proved too demanding. 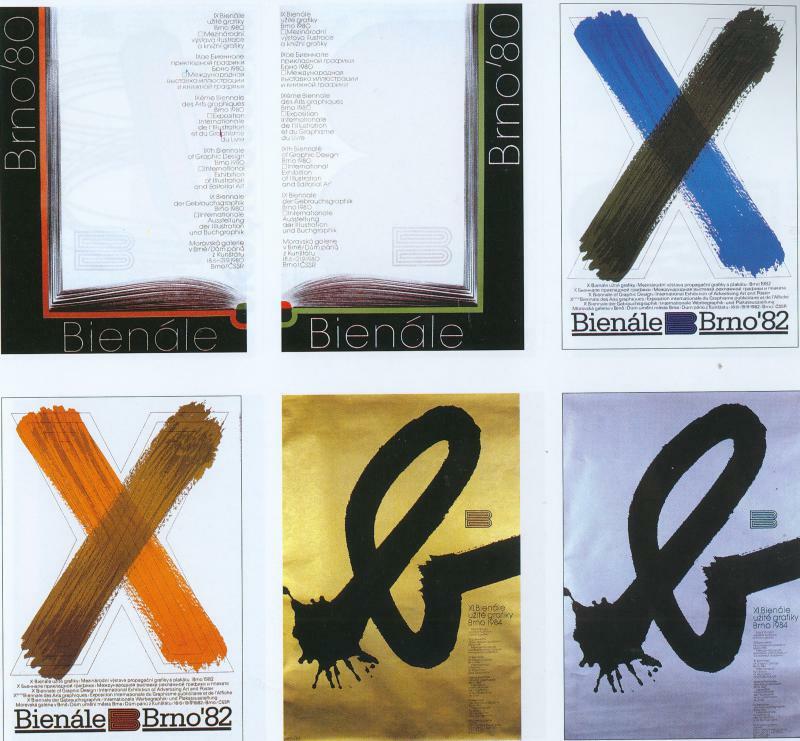 Two basic subjects have alternated at the Brno Biennial since 1970: (1) poster, corporate identity, information and promotional graphics, and (2) graphic design and typography in books, magazines, newspapers and the digital media. 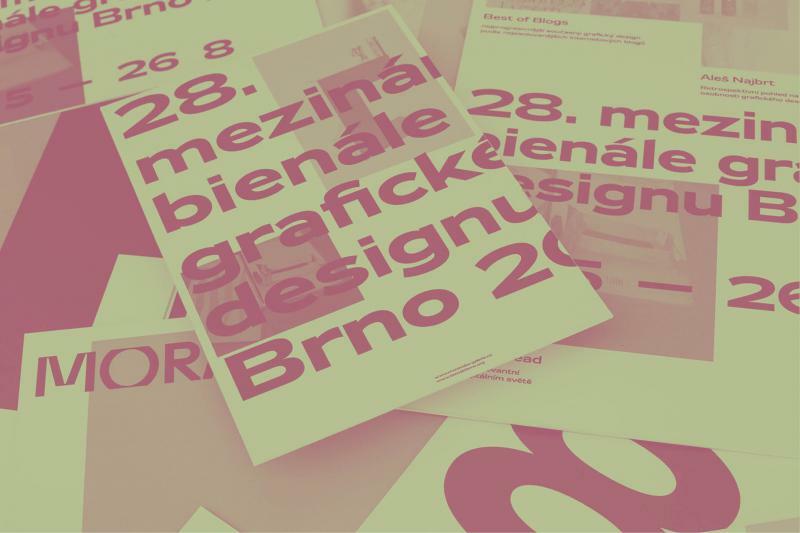 A large number of eminent figures in the field of graphic design have taken part in the Brno Biennial over the years, as exhibiting artists, members of international juries, and lecturers at international symposia. 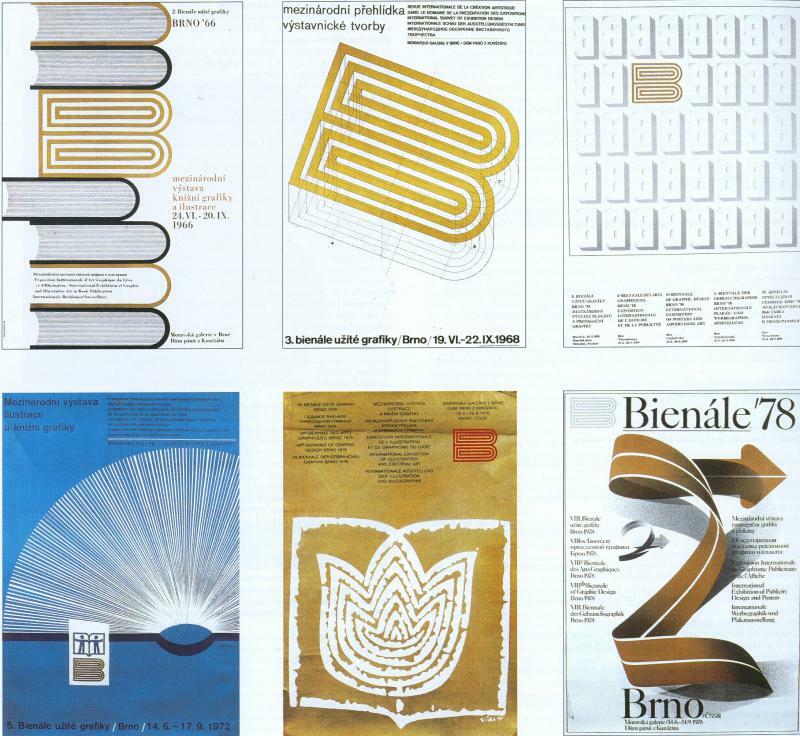 The Brno Biennial has played host to such graphic design luminaries as Saul Bass, Roman Cieślewicz, Wim Crouwel, Alan Fletcher, Adrian Frutiger, Shigeo Fukuda, Milton Glaser, Ivan Chermayeff, Seymour Chwast, Mitsuo Katsui, Herb Lubalin, Ladislav Sutnar, Josef Týfa, Tadanori Yokoo, Hermann Zapf and many others.